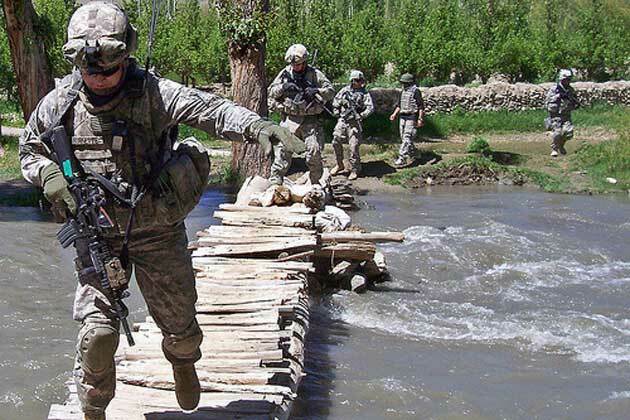 Soldiers navigate across a creek during a dismounted patrol in the Nerkh Valley, Afghanistan, June 4, 2009. The pictured soldiers are assigned to Battery B, 4th Battalion, 25th Field Artillery Regiment on Forward Operating Base Airborne. Photo credit: Staff Sgt. Richard Roman. (Photo courtesy army.mil).